A rare example of the last sports car produced by Birmingham-based MG-Rover will be among the highlights of the Bonhams sale in Oxford, UK, on Saturday 2nd March. Following the success of last year’s auction, which recorded an outstanding 100 per cent sale rate, the Bonhams Motor Car and Automobilia departments return to the regional Oxford salerooms for the first sale of the UK auction calendar. 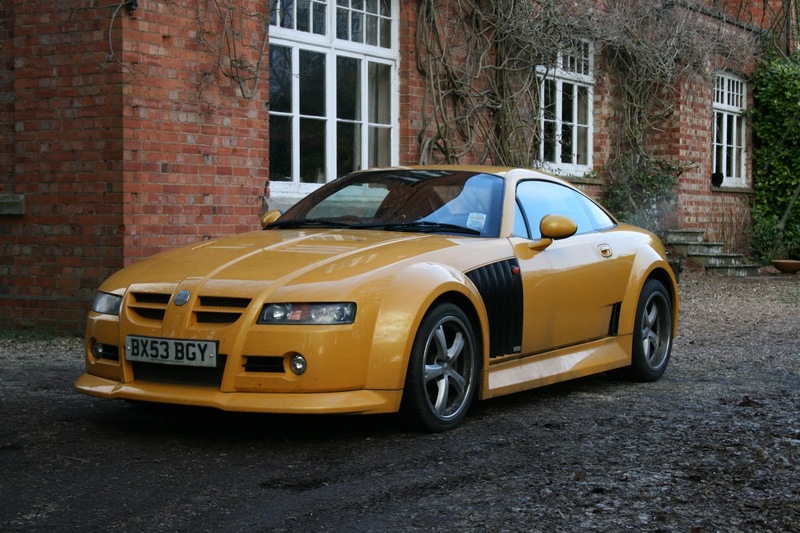 Among motor cars consigned to the sale is a 2004 MG X-Power SV Coupé (estimate £22,000 - £26,000). One of the many unfortunate consequences of the group's demise was the curtailment of an ambitious competitions programme that had re-established MG as a major force in international touring and sports car racing. The basis of this resurgence was a series of high-performance road models, at the pinnacle of which was the MG X-Power SV Coupé. The finished design was conceived by the renowned Peter Stevens, who was responsible for such cars as the McLaren F1, and won Autocar Designer of the Year in 2002. Constructed from lightweight carbon fibre, the SV is capable of 0 to 60mph in 5.3 seconds, and has a top speed of 165mph. First owned by MG-Rover, this car was sold to the current owner as a prototype and appeared on ITV’s ‘Tonight with Trevor MacDonald' shortly after the group collapsed. Also in the sale is a single-owner collection of Canadian-built Buick motor cars, including one used by a future King of England. The 1928 model year McLaughlin-Buick 496 Tourer is one of only two built and used on the royal tour of Canada in 1927 (estimate £40,000 - £45,000). The custom-built cars were the only vehicles built by the motor company during that year which comfortably seated seven people, and were designed and detailed with class and elegance in mind. They were used extensively by the then Prince of Wales (later King Edward VIII), his brother Prince George (later the Duke of Kent) and their entourage carrying out their civic duties, and were shipped from province to province by train. Other Buicks in the collection include a 1927 Buick X54 Roadster with coachwork by Fisher (estimate £18,000 - £22,000) and a 1927 Buick 48 Opera Coupé (estimate £13,000 - £15,000). Another motor car of particular note on offer at the auction is a 1927 example of one of the first Morris Oxfords with coach-built bodywork. The vehicle will go under the hammer in the same month the model celebrates its centenary, and is expected to realise between £18,000 and £22,000. Leading consignments is a 1968 Ferrari 365/250 GT Short Wheel Base Recreation that is estimated at £200,000 to £250,000. Automobilia lots on offer include a Kingsbury tinplate Golden Arrow world speed car model made in 1929 and finished in gold (estimate £500 - £700), a Morris Trucks enamel sign from the 1930s in the form of a Morris Trucks radiator (estimate £500 - £700), and a Raymond Groves painting entitled ‘First British Grand Prix Silverstone Oct 2nd 1948', depicting Sam Gilbey driving his 1½-litre supercharged Maserati (estimate £700 - £900). For enquiries call +44 (0) 20 7468 5901 or email ukcars@bonhams.com. To bid in the sale call +44 (0) 20 7447 7448 or email bids@bonhams.com.